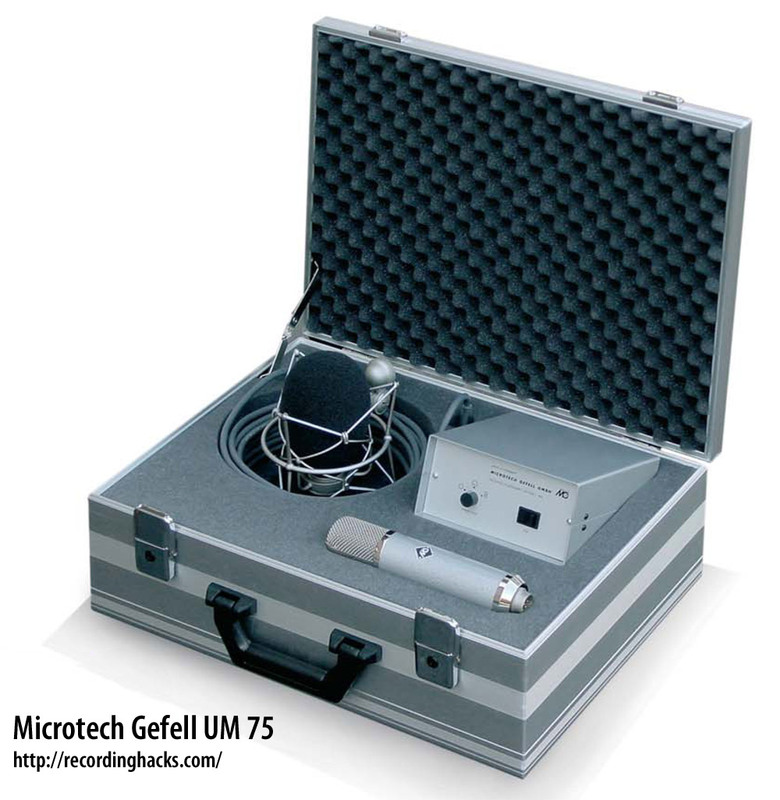 The UM 75 was a recreation of Gefell’s famous UM57 microphone. It was released in 2003, to commemorate the company’s 75-year anniversary. Note the sly model-name change, from UM 57 to UM 75. 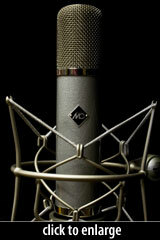 The mic was sold as a limited edition; only 75 were made. 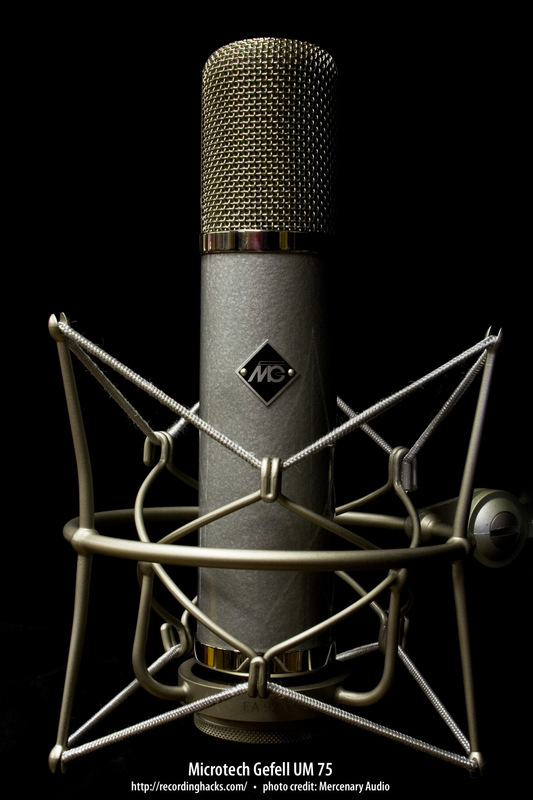 The mic is a three-pattern tube condenser; a switch on the power supply allows selection of Cardioid, Omnidirectional, or Figure-of-8 pickup patterns. The capsule is a dual-diaphragm M7, presumably with Gefell’s signature PVC membrane (confirmation forthcoming). The amplifier circuit topology is tube-and-transformer; the tube is a vintage EF86 pentode running at 5.8V. The tubes are different. The UM57 used an EC92 (triode), whereas the UM75 uses an EF86 (pentode). The amplifier circuit in the UM75 is reportedly borrowed from the UM 92.1, which notably includes the EMI/RFI rejection circuitry required for certification with the CE mark (Conformité Européenne, aka European Conformity). The UM 75 uses a transformer created designed by AMI/Tab-Funkenwerk. Given that the UM 75 used the same EF86 tube, M7 capsule, and CE-approved amplifier circuit as the UM 92.1, it is arguable that the UM 75 is less a recreation of the UM57 than it is an update of the UM 92.1S, with a new transformer. The transformer in question is AMI/Tab-Funkenwerk’s UM351. It was designed as a modern reproduction of the vintage designs produced by the Gefell factory. During the war years, inconsistent and unreliable material supply led the Gefell engineers to produce many different variations on the transformer, with different lamination types and compositions, different winding ratios, and ultimately, differing sound quality. The UM351 design was finalized after extensive listening tests. The published frequency-response graphs for the UM 75 are identical to those of the M92.1S, UM92.1S, UMT70S, and MT71S, despite the wild variation in topologies, circuitry, and headbasket design among those microphones. 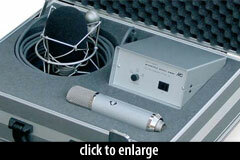 We therefore do not expect that graphs accurately describe the actual response of any of these microphones. The UM 75 shipped with its power supply (p/n UN 920.1), power cable (C 92.1), elastic shockmount (p/n EA 92), and a foam windscreen, all packaged into an aluminum flightcase. The mic had a 10-year warranty. The Microtech Gefell UM 75 is also known as: UM75.